After completing its assessment, UL has received accreditation by the Standards Council of Canada as a registrar under the latest version of ISO 13485:2016 and ISO 13485:2016 under CMDCAS.The 2016 version of ISO 13485, the quality management system standard for medical devices, is the first version in 10 years and replaces the 2003 version, which has been implemented in more than 26,000 manufacturing sites globally. The concepts of ISO 13485 are part of most regulatory QMS requirements, including the medical device single audit program (MDSAP). “UL is committed to making sure our medical Quality System Registration customers are able to demonstrate compliance with the latest standards and current requirements,” said Michael Windler, regulatory service operations head for the UL Health Sciences division, in a press release. 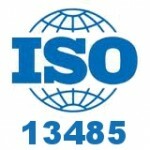 SCC accredited certificates to ISO 13485:2003 are valid until the end of February 2019.